Posted on Dec 21, 2011 by Appleton Downtown Inc.
Spa BenMarNico's wishes you the best of the Holiday Season by extending an exclusive Facebook fan offer, that can't be passed up! Spa gift certificates make great holiday gifts! 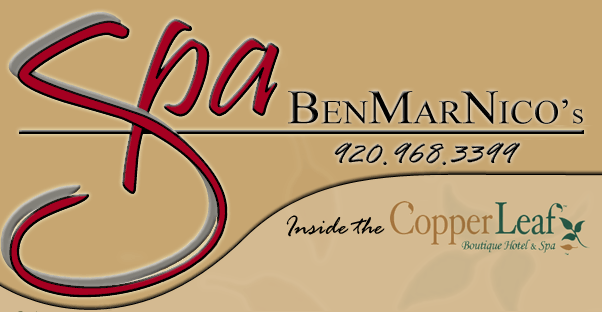 "Like" Spa BenMarNico's page on Facebook and print out their special coupon for $10 off a $100 Gift Certificate purchase. Follow Spa BenMarNico to get more great offers for up~coming deals. Spa BenMarNico is located inside the Copper Leaf Hotel.